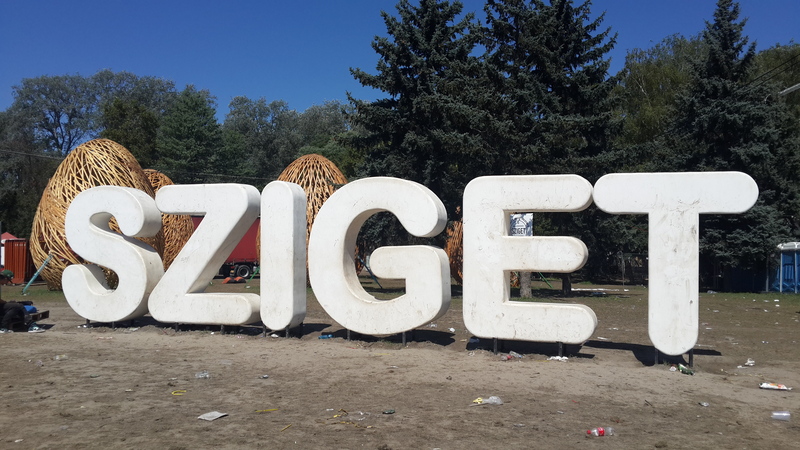 Sziget isn’t very well known in Australia, and I didn’t know about it until some Dutch friends I met travelling told me I absolutely had to go. Having said that, there were a surprising amount of Australians at the festival and word is spreading fast! 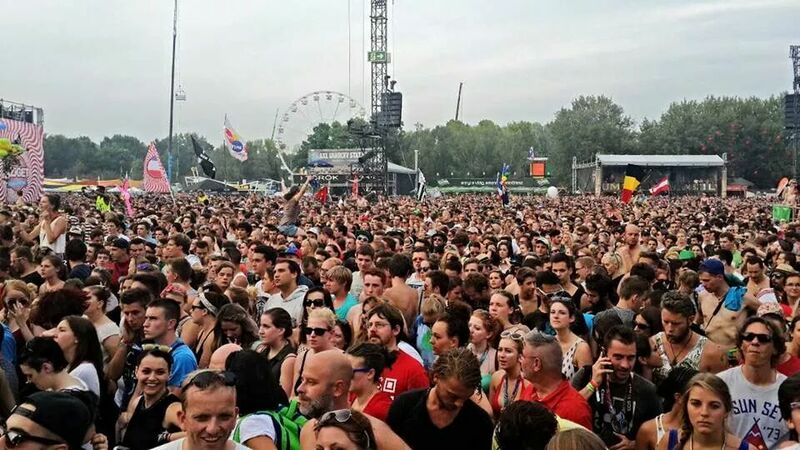 Sziget is a 7 day festival held in Budapest mid August. Each year it attracts a bigger amount of people, alongside much bigger artists. Its line up has the most variety I have ever seen, from metal to pop to blues to electro, it has artists to suit everyone (hence the large crowd). Blink 182, Queens of the Stone age, Deadmau5, Bloody Beetroots, Jimmy Eat World, Imagine Dragons, Placebo, Skrillex, Bastille, Lily Allen, Outkast, Calvin Harris, Macklemore, Strommae, Axwell, NOFX, Korn, Kelis, Laidback Luke, Klaxons, Prodigy, The Kooks, R3hab, Madness, Crystal Fighters and heaps more!! The benefit of a 7 day festival was that the acts were all spread out, so it was uncommon to miss any as there were less clashes. 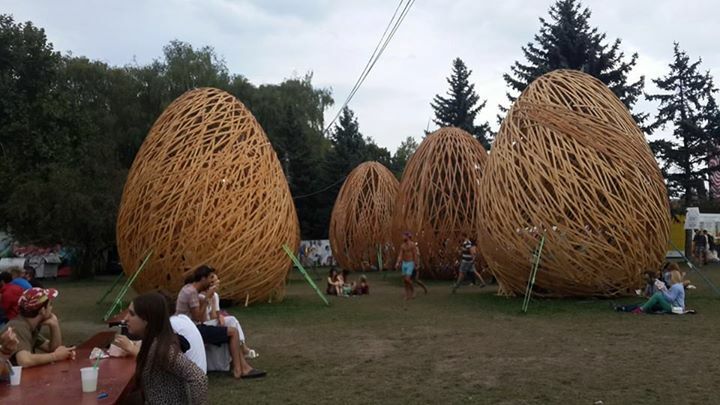 It is held on Obudasziget island, ‘Island of freedom’ in between the Buda and Pest side of the city, of which you enter from the Buda side (which took us almost all day to realise when we couldn’t get in from the Pest side). With 400,000 people attending this year, it is becoming one of the most famous festivals in Europe and all over the world. To walk from one end of the island would take around 45minutes; so yes it is a huge place! There is a main stage which hosts the most famous headliners. This is a huge open area surrounded by bars and food trucks. The second bigget stage is the A38 stage. This hosts big artists as well but those who don’t fit into the main pop or rock category. Around the island there are many other themed stages such as Europe stage, Reggae stage, Blues stage and Colusseum rave cave which are great places to chill out when you’re wanting a chance from the headliners. There are also tents that house random activities to show off your musical, artistic or any other side. During the day you can swan in and out of these and do some new activities that aren’t purely festival based to have a break. My favourite was the Chill out garden that housed hundreds of bean bags, shisha pipes and a collection of tea. This is where everyone rested during the day (that was more comfortable than your tent). Yes of course! Most people are there with friends however if you are currently traveling solo and still want to get in on the craziness I would recommend booking with Stoke Travel. This way you have loads of people also with Stoke to camp and party with for the week! The festival starts on a Monday but it is open the weekend before if you buy a moving in pass to set up your tent. This means that on Monday you can roll in and enjoy the festival right away, instead of lining up for hours lugging all your stuff with you. If you go early enough, you should have a walk around and see where the stages and clubs are. You want to be a short walk to the main stage, but you don’t want to be stuck next to nightclub you didn’t realise was there, as you will never sleep! Also make sure you are in the shade so you don’t get woken up at 8am every morning. Go to the Auchun supermarket next door and stock up on food and drink. You can take as much food in as you want, and 2.5L of non alcoholic liquids. You’re not meant to, but it will save you more than half during the week if you’re drinking all night every night and especially if you drink other than beer. They feel your bags and have a quick look but are mainly feeling for glass. Most of the time it’s so busy they didn’t even look in my shopping bags. There is no free water so buy it from outside the festival it’s way cheaper! Inside you can only get the small bottles so you will go through them too quickly. 6. Bring lots of tissues. There are two types of toilets; the nice ones which flush and have mirrors and toilet paper, and the ones that are a hole where you can see what everyone had for lunch all week. If you’re camping near the latter, there is no toilet paper so be prepared. 7. Bring warm and waterproof clothes. Even though it’s in summer, it can rain and be very cold at night. There were a few days where rained which made for a very muddy and gross camping site, so keeping warm and dry is a battle if you only brought summer clothes. 8. Buy local sim cards outside the festival. Sziget sells ‘festfones’ with local sim cards and phones, however it is half the price to buy one from Vodafone or Telenor in the supermarket next to the festival. You will get perfect reception with it and can then buy a data and call package. I would strongly recommend you and your friends getting this so you can keep in touch without having to find wifi and Facebook message everyone all the time. You can save battery this way by turning off data and just texting those you need in the festival. 9. Store your valuables somewhere other than the tent. There is a left luggage tent where you can keep your bags. This keeps them away from your tent but also available if you need. Alternatively, you can ask your hostel/hotel you stayed in beforehand to store them. We did this and it was good knowing they were safe, however couldn’t have access to anything we didn’t think we would need ie warm clothes. 10. Bring a portable charger. As you can imagine, there is nowhere to charge your devices. There are charging tents but they have very limited places annd fill up by morning. With 400,000 people, it is impossible to find anyone if you get lost, so having a charged phone is very handy. Buy a portable charger or long life battery beforehand- it’s worth it for photos and staying in touch. 11. Buy your camping equipment from a supermarket. 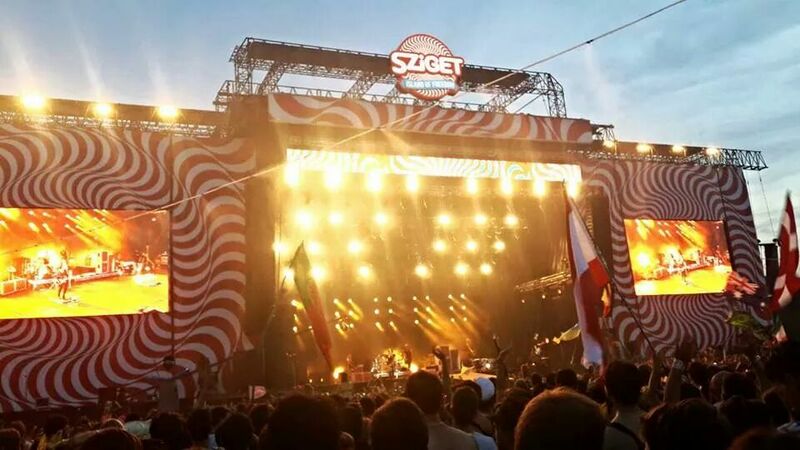 Sziget offers a camping pack for 80Euro for a mattress, 2 man tent, sleeping bag and blanket for those travelling. This is very convenient, however you can get it for half the price at the supermarket nearby. TESCO near the island has a huge variety and is all 50% off at that time. You can get great luxury accessories like chairs, picnic tables and hammocks to enhance comfortability. 12. Bring some funky clothes and paint! Your clothes will inevitably get dirty, muddy, wet, destroyed so make a laugh out of it and buy some colourful outfits. Everyone does this to stand out so it is easier to find them! This entry was posted in Europe, Festivals, Hungary, Sziget and tagged Calvin Harris, festival, Sziget festival. Bookmark the permalink.